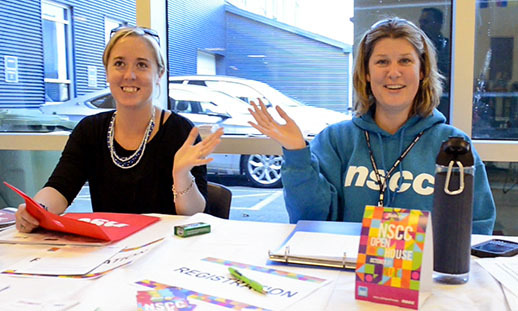 Get ready to explore our campuses, meet with faculty and learn more about NSCC. We'll be opening our doors for a day of exploration, learning and community celebration across the province. Visit any campus, apply for free and have the chance to win $1,000 towards your NSCC tuition. Each NSCC campus provides a unique experience. Find one you'd like to visit below and view the campus agenda. Do you require an American Sign Language (ASL) interpreter for Open House? Book before the October 10 deadline by contacting . Let us know which campus you'd like to visit, which program you might be interested in and the time you plan on visiting.